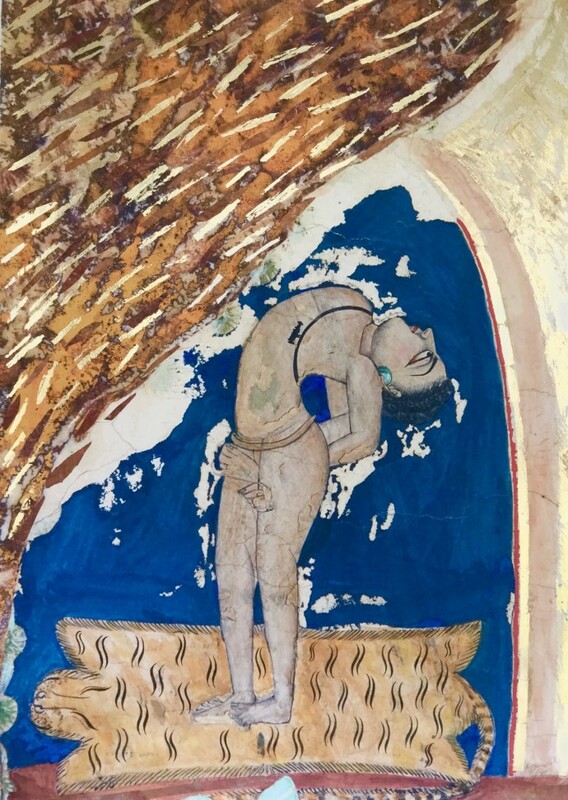 ‘Six years ago, I stumbled upon a semi-derelict early nineteenth-century temple in Jodhpur known as the Mahamandir, built by the Maharaja Man Singh (1803 - 43) for his Nath guru. 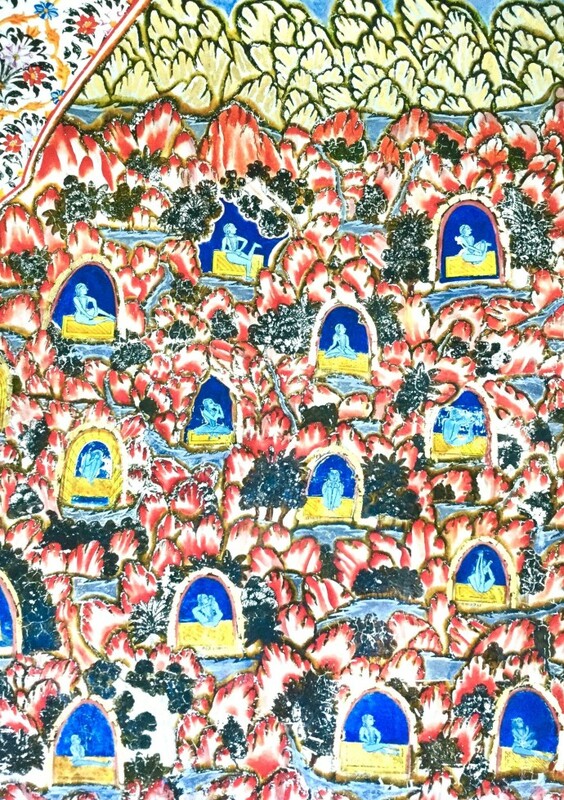 I was amazed to find every inch of the sanctum covered with beautifully detailed miniature paintings, illustrating sublime figures of meditating yogis. 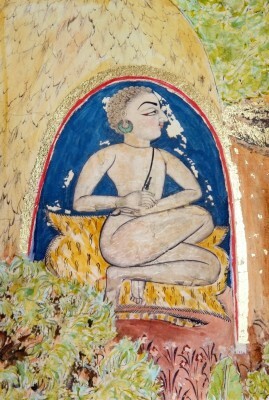 Astonishingly, for almost 200 years this temple has stood neglected, its mysterious treasures unknown to the wider world. 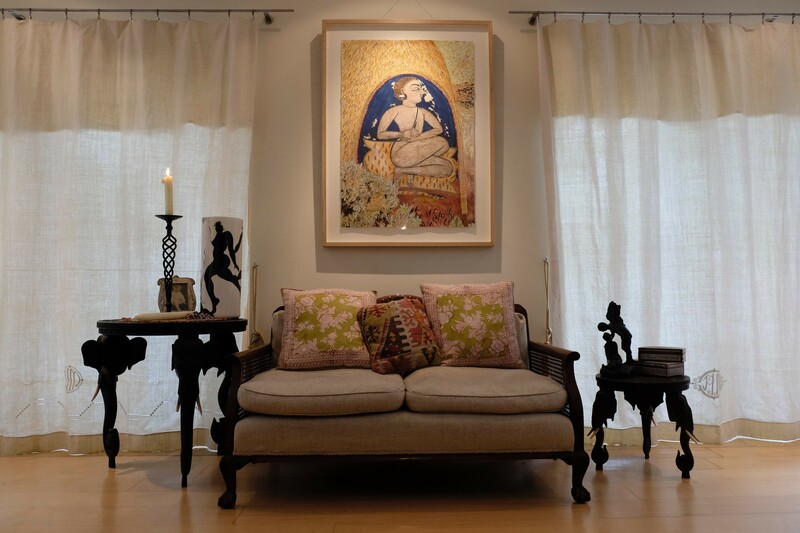 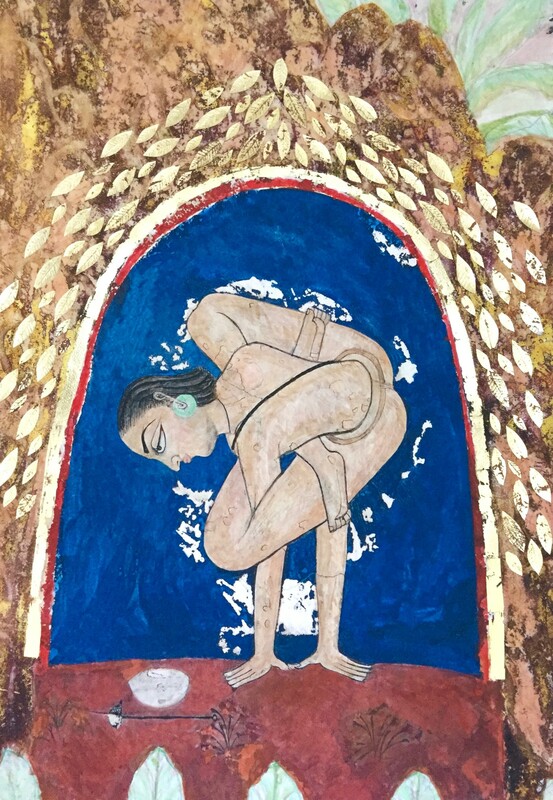 Her first solo exhibition in London, The Infinite Lightness of Being follows Virgils’ residency in Jodhpur’s Mehrangarh Fort, where she was invited to show her works by the city’s Maharaja HH Gaj Singh. 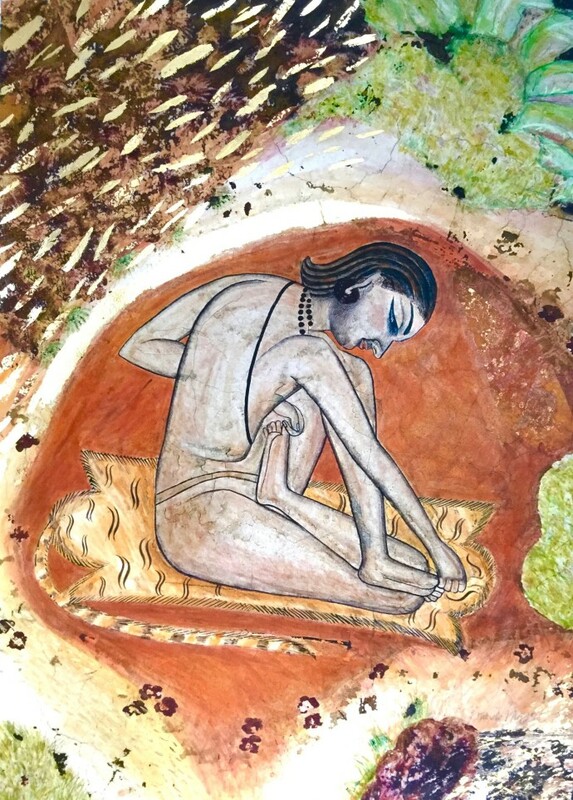 Re-imagining the yogis, Virgils uses ancient methods and new technology alike. 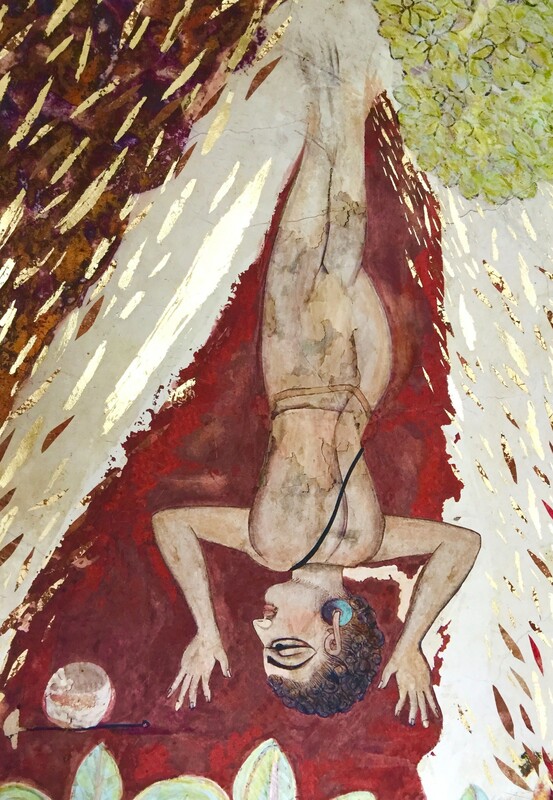 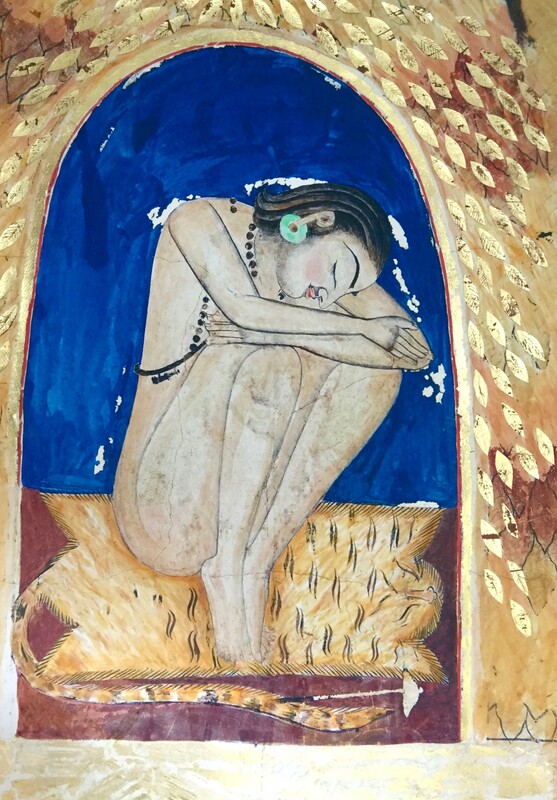 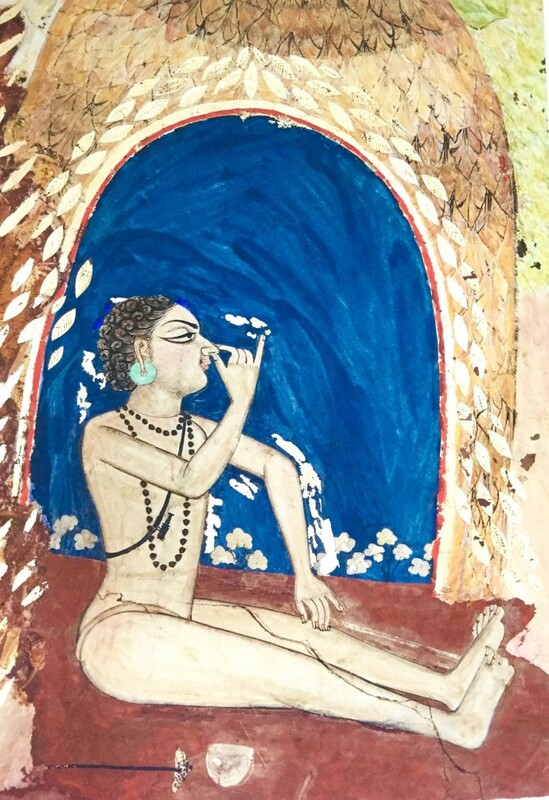 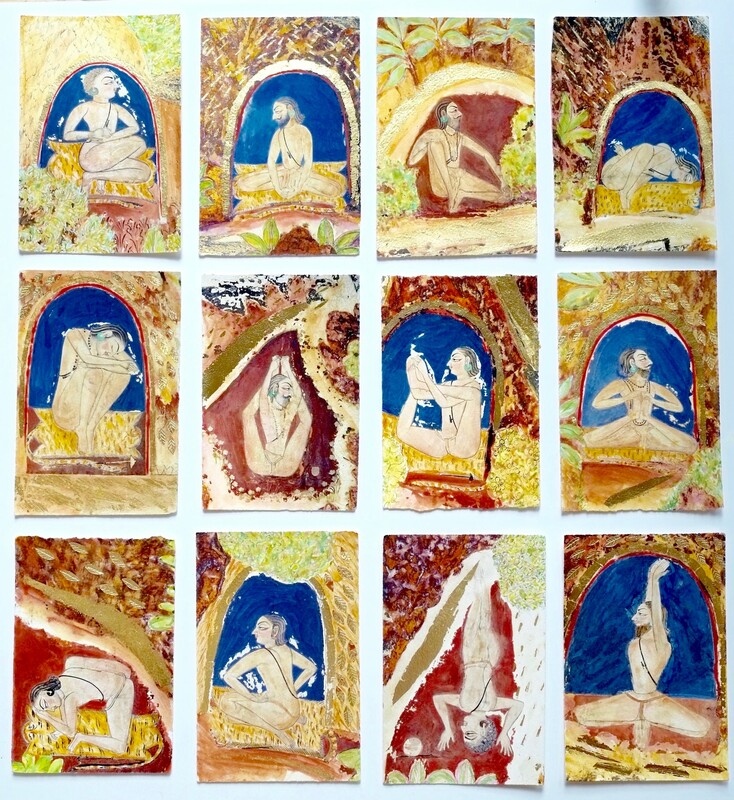 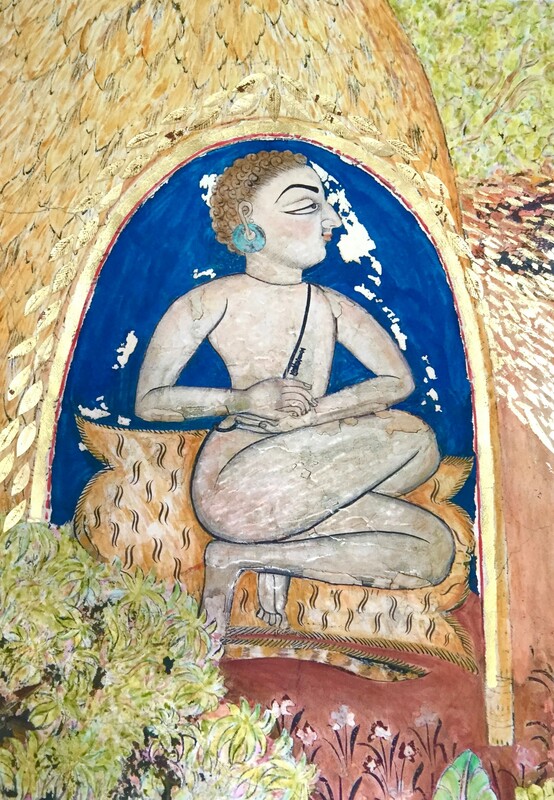 Indian miniature painting methods and gold leaf are blended with earth pigments, whilst the scale of each yogi is radically altered, the imagery becoming more resonant with a 21st century audience.